The client, a world leader in household products, had engaged its incumbent SI partner to build global templates to extend and roll out its SAP system across its global organisations. In the meantime it became obvious that there was an immediate need for a Demand Planning solution in Australia. The client’s management team was savvy enough to realize that the template for the DP solution had been designed on paper only and yet it would need to fit the real world business without adjustment. Timelines were extremely tight so they could not afford an extended ‘dialogue’ between the central design authority and the operating business. Nor did they want extensive custom code and workarounds applied on the ground, which would make a nonsense of the ‘global’ template and disrupt the existing global SCM solution. Having considered all the options, the client chose Pivot to fashion and build the solution and then train the operators in Australia. 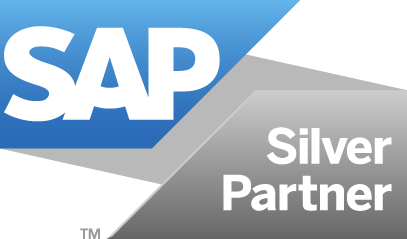 They knew Pivot had the real world business experience to strike a good rapport with line management and the users, plus the deep SAP knowledge to ensure that required modifications to the template were configured in standard SAP. The Pivot consultants flew to Australia to run a week of workshops during which it became obvious that a significant amount of redesign was required, 40% indeed. The template hadn’t taken practical realities into account at all. It was the experience of other similar projects together with a real grasp of best practice, which the Pivot consultants brought to bear with such effect. The client had several legacy systems including J.D.Edwards, partitioned to provide a global as well as local systems. Interfaces had to be built to create information flows from these systems into SAP BODS (Business Objects Data Services), then into APO and into the existing global SCM solution. In spite of all the unanticipated work, the project was delivered in full and on time. The only compromise made was a delay to the production of on-going training materials, which didn’t impact on the success of the project. The Pivot consultants took care to ensure that the requisite skill transfer had taken place to ensure the client was not dependent on their support to move forward. Other countries and regions are now eagerly lining up for the next phase of the rollout. They helped to build the template that will stand us in good stead. Additionally, they shared knowledge with the internal team and ensured that they were fully involved in all the design decisions being taken. An aspect I was concerned about at the start, regarding any potential design impacts on our existing global SCM solutions were unfounded and the Pivot consultants worked really hard to ensure there were no impacts on the existing solutions. They were also happy to offer advice on other issues we had (perhaps I shouldn’t be saying this!) and, basically, worked seamlessly as an extension to the internal team, working to achieve the project goals. This, I believe, is the true reflection of what service I would expect……and got. Most certainly – I feel they did an excellent job on the project.